Teams entering meets approved or observed by USA Swimming (USAS) often have a mix of athletes registered and not registered with USAS. 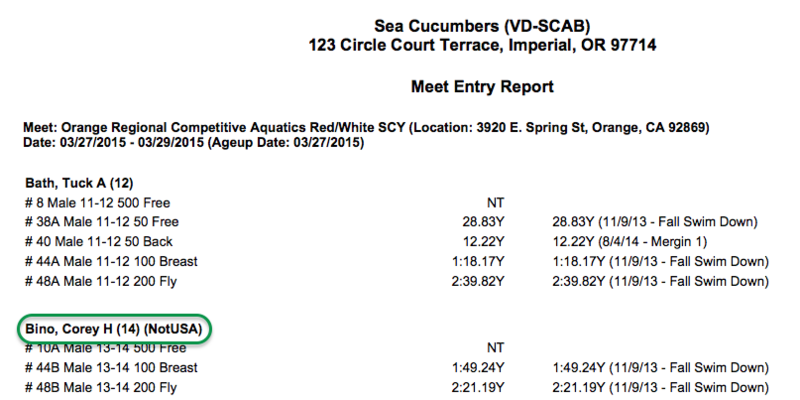 By designating certain swimmers as Not USA Registered in Account/Member Admin, they will show as such on the Committed Athletes tab, in the Entry Report, and in TouchPad. 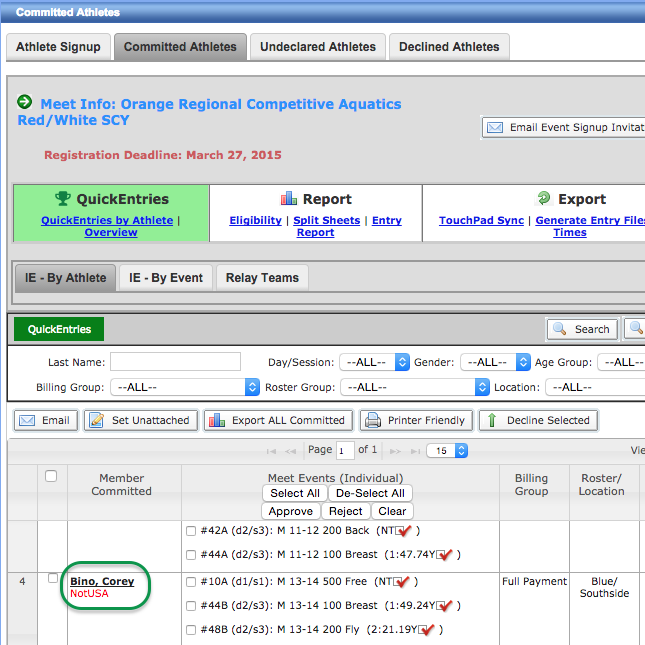 For host teams that use Meet Manager, the SD3 file spec does not have a way to designate athletes as Not USA Registered. Therefore you will need to give the host team an Entry Report and the host will use it to manually designate Not USA Registered athletes as such in Meet Manager. See our article on how to produce an Entry Report and it will automatically list Not USA Registered athletes.